Bicycling is a common pastime enjoyed by many, especially in sunny Florida, where there is perhaps a longer period of good weather in which it can be done. However, it is not a hobby devoid of danger – injuries do happen, and the most severe can cause real problems which can take months, even years to recover from. 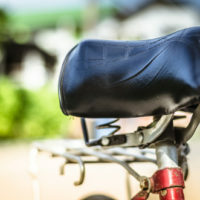 If you are involved in a bicycle accident due to someone else’s negligence, it is understandable and appropriate that you might seek to be compensated by them for your bills. The most recent available data on bicycle accidents nationwide places Florida directly at the top of the proverbial heap in terms of bicyclist deaths and injuries, but also for the number of safety initiatives begun to help curb that total. Approximately 820 cyclists died in 2015 nationwide (the most recent available data), which constituted a 12 percent rise from the previous year. Florida’s total was 150, which is nearly 20 percent of the entire nation’s total. There are numerous patterns to be noted within the data, which have been used by the state to help direct safety campaigns as well as to help identify possible causes for the frequency of accidents. For example, the percentage of deaths during daylight hours was roughly the same as those occurring during the night, but a significant majority of cyclists go out during the day, leading to the conclusion that the night is far more dangerous to bicyclists than the daytime. Accordingly, initiatives have been mounted to ensure streetlights and crosswalk signals are present at potentially hazardous intersections. If you sustain injuries due to another person’s negligence, it is important to understand that Florida law currently does not permit you to sue the other person in most situations, instead requiring you to submit a claim through your own insurance company for your bills – this is referred to as a no-fault insurance system. Thus, if you are injured by another pedestrian or cyclist or a motorist, you would file a claim with your insurance company for your bills to be paid. If you do not have personal injury protection (PIP) insurance, you would be out of options unless you suffered a disfigurement, loss of bodily function, or significant scarring. These events give you the right to sue. If you are in one of those rare situations where you are, by law, permitted to sue, you must be able to prove that the defendant acted recklessly or without regard for the duty of care that every road user owes to everyone else on the street. Florida law requires that you show that the existing duty of care was breached by the defendant’s conduct, and that the breach was caused directly by that person’s conduct, with no superseding cause. You must also show that the breach of the duty of care caused you tangible harm – not necessarily physical harm, as shock and posttraumatic stress count, but harm that lasts longer than mere minutes or hours. Florida’s beautiful weather means many people on the roads at any given time, and the more people on the road, the more likely accidents are to occur. If one happens to you, it is important to understand your options going forward. The Winter Park bicycle accident attorneys at the Hornsby Law Group are happy to sit down with you and try to help. Call our office today for a free consultation.